Rustic Polenta Muffins are a savory, slightly crunchy twist on traditional cornbread. Are they sweet, light and fluffy? Nope. But their dense, firm texture (think pleasingly dense, not hockey puck dense) holds up well to hearty chilis and stews (like my Best Damn Vegan Chili), which we eat a lot of in Wisconsin when the weather turns cold. These muffins are more like a bread that tastes like corn than a breakfast muffin. And in our house that’s a good thing, because if they were any sweeter, Hemant would eat them all in one day. Then, we’d have nothing yummy to sop up our leftover chili. 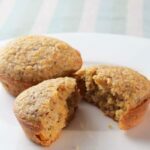 This rustic polenta muffin recipe is a healthier, heartier throw back to cornbread muffins I first encountered in my early twenties. Just after graduating college, when I was still trying to break into advertising, I worked nights as a waitress at a place called Texas Longhorn Café and Cantina. It was most certainly NOT vegan. We served giant, Texas-sized slabs of ribs and steaks along with Tex-Mex fare like enchiladas—and really good Margaritas, as I recall. The restaurant’s most popular side dish was the cornbread muffins. They were light, fluffy and sweet, with bits of canned corn and green chiles mixed in. Guests begged us to put extra muffins in their to-go containers, and we wait staff were always sneaking them in the kitchen when we hoped no one was looking. You were at a distinct advantage if you could inconspicuously stuff an entire muffin into your mouth at once.? I’m sure my rustic polenta muffins have a lot less sugar and fat than those muffins. I use healthy flax and whole wheat pastry flour in this recipe, and of course no eggs, milk or butter. 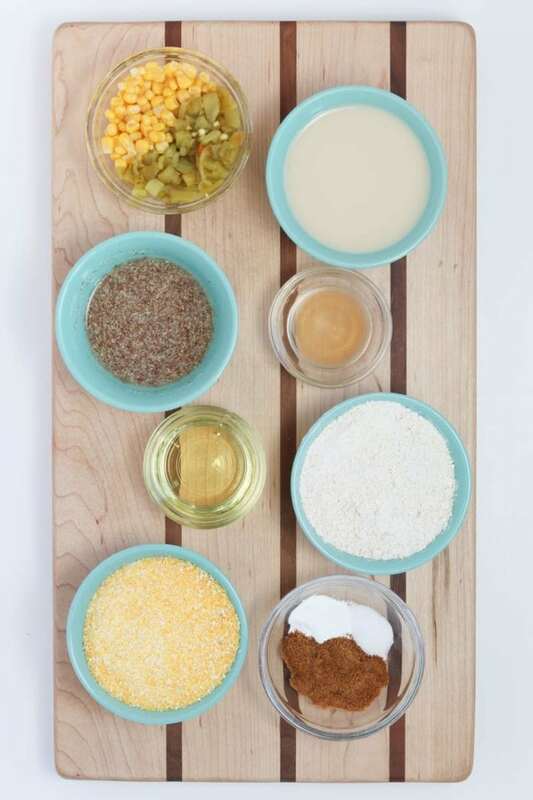 But for a bit of extra texture and moisture—and just out of pure nostalgia—my recipe includes the same canned corn and green chiles as those Texas Longhorn Café and Cantina muffins. Since I can’t imagine eating chili without cornbread, I’m sure I’ll be making this rustic polenta muffin recipe often in the coming months—when we’re hunkered down here in Wisconsin, craving warm, hearty comfort foods to get us through the winter. 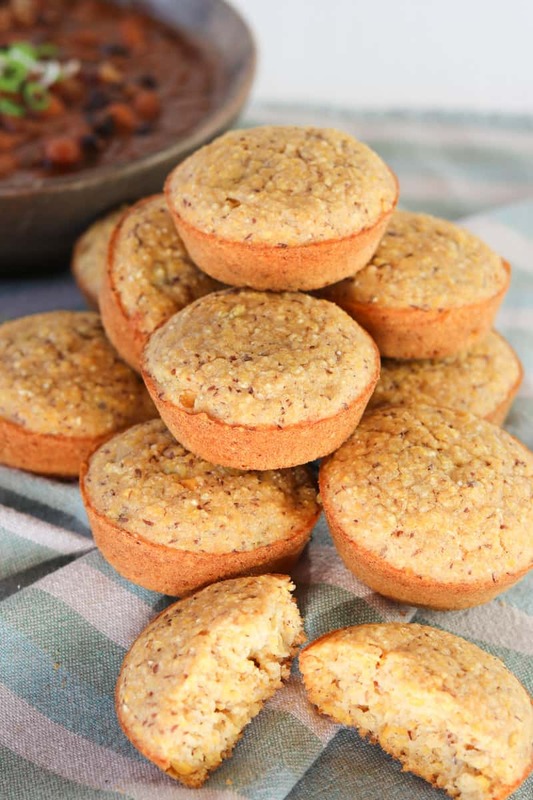 Rustic Polenta Muffins are a savory, slightly crunchy twist on traditional cornbread. Their firm texture holds up well to hearty chilis and stews. Make 2 "flax eggs": In a small bowl, combine the flax seed and 6 tablespoons of water, whisk well, and allow to sit for 15 minutes. In a large bowl, combine the dry ingredients (polenta, flour, baking powder, coconut sugar and salt) and sift together or mix well. 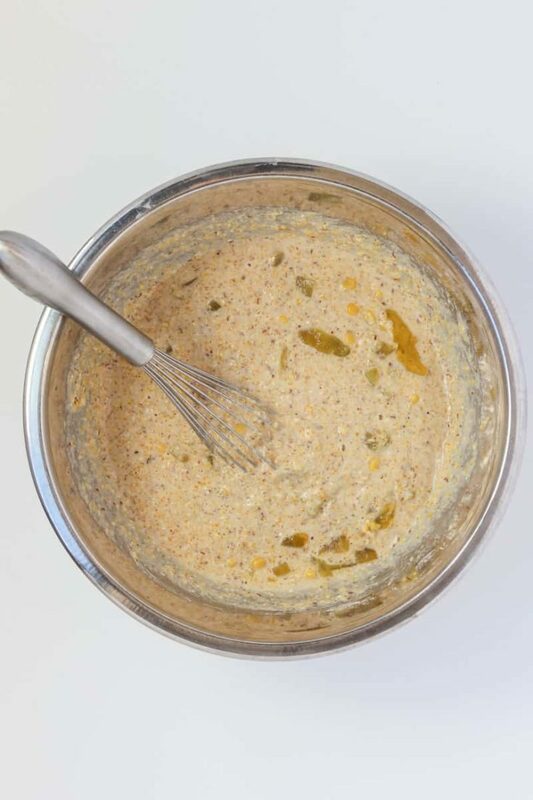 In another bowl, combine the wet ingredients (oat milk, oil, vinegar, and flax egg) and whisk well. Pour the wet ingredient into the dry and mix together. Stir in the corn and green chiles. Pour the batter into a non-stick or lightly oiled muffin pan, filling about 1/2 full. Cook for 25-30 minutes, or until a toothpick inserted into the center a muffin comes out clean. 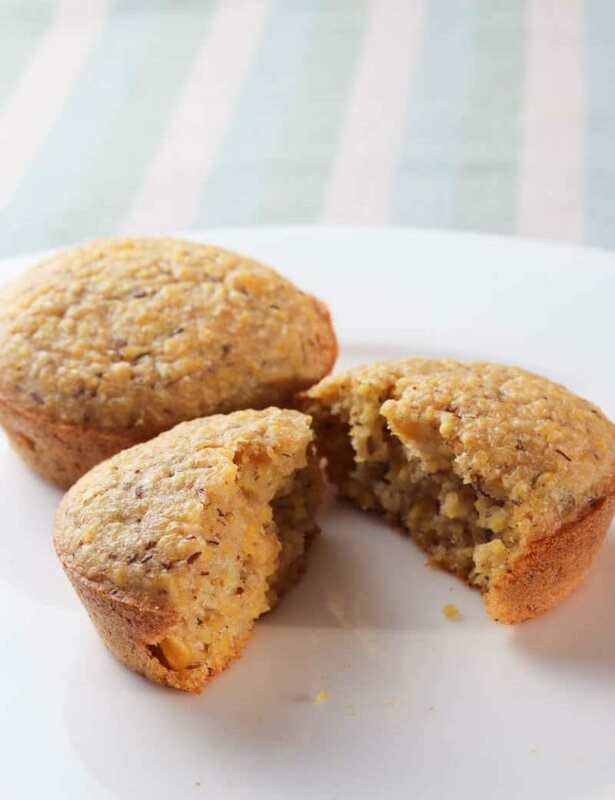 • Polenta lends a crunchy texture to these muffins. For a softer muffin, use cornmeal instead. • I like oat milk because it's naturally sweet. You can use any sweet plant milk for this recipe, or if using plain/unsweetened, you may want to increase the coconut sugar by 1 teaspoon.